These Patagonia Baby girl Capilene bottoms will become your favorite all season base layer for your little one; it's so soft! Pair with Capilene Crew for complete comfort and cuteness. 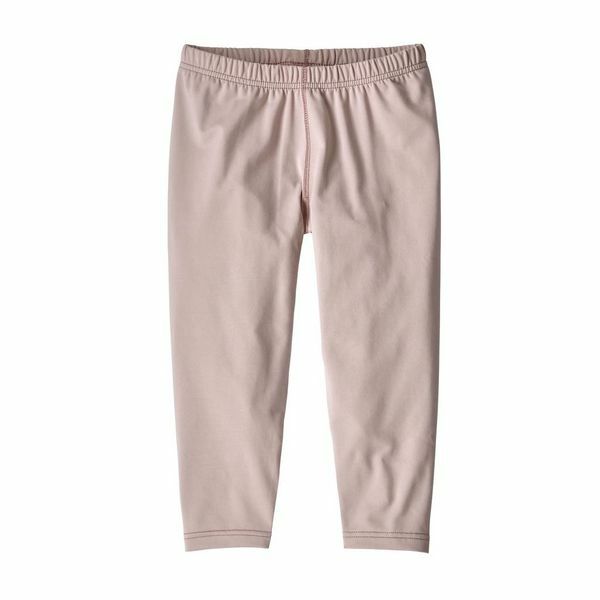 Comfortable, moisture-managing Baby Capilene® Bottoms are made of a soft polyester/spandex fabric blend that’s fast-wicking and treated with Polygiene® permanent odor control. Self-fabric elasticized waistband is soft and cozy next to skin. Gusseted crotch allows excellent range of motion for legs on the go and provides a comfortable, functional fit. Flatlock seams throughout minimize chafing. Fair Trade Certified™ sewn. 5.3-oz 88% polyester/12% spandex sueded jersey with Polygiene® permanent odor control.